I wouldn’t call myself much of a nostalgic person, but I really love the Facebook “On this day” memories function. Each day a notification pops up to let me know what I was doing on this day over the years and I get to remember specific details that may never have made it to the front of my consciousness after being tucked away for safekeeping. This past weekend, FB reminded me that six years ago I was just beginning my couch to 5k program and had reached the point where I would have to run 2.5 miles straight, three times! Cue OMG I can’t believe how far I have to run status update. You guys. I now view 2.5 miles pretty much as a warm up. But that is six years of training, pushing myself to achieve goals and race new distances, overcoming setbacks, make it through injuries, my own brain telling me I can’t, and my body refusing to cooperate until I made it. 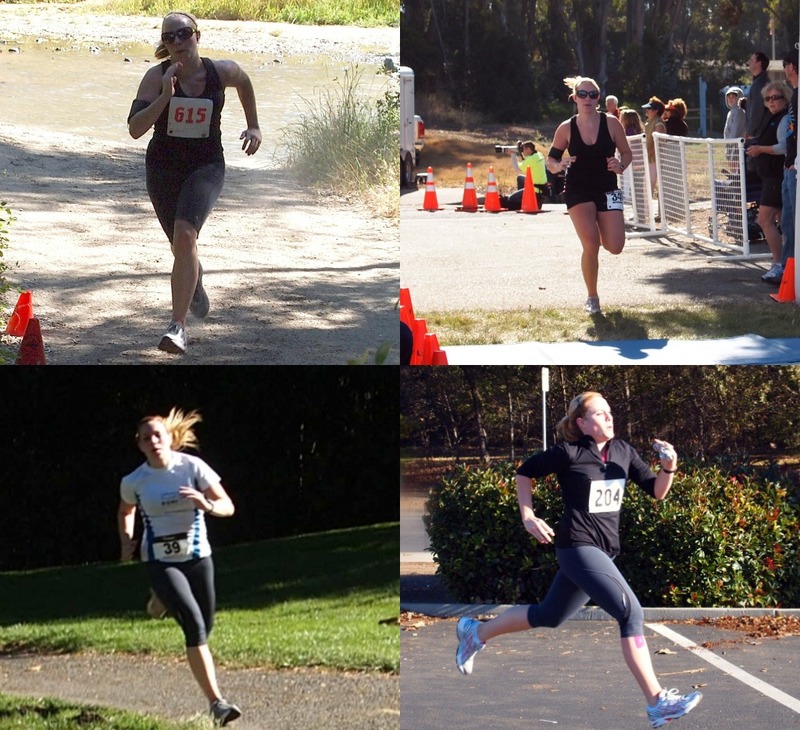 In 2009, I had a New Year’s goal to run a 5k, 3.1 miles, by June. I hadn’t run more than a mile straight since high school, and even then I was a shorter distance runner specializing in sprints. A 5k was a huge undertaking and a lofty goal for me at that point. I often have friends tell me they can’t believe my training distances or how often I find myself outside pushing through a workout. I view my training now as somewhat average with dips and peaks that either push my mileage or allow me to rest. I didn’t just start out riding 30 miles on my bike and loving it. I started with a few miles at a time and worked up from there. I had to use a program to teach myself how to run even 3 miles straight. I have spent years getting to this place, and even then, I am not always capable of running or cycling the distances I would like to. I have to tell my friends (and myself) that you can’t compare yourself to anyone else, they may be further along in their journey than you, so you have to compete against yourself, each workout pushing to move forward in your training. It’s an endurance race, not a sprint. You will get where you want to be by putting in a lot of time and effort. I did run a 5k by June 2009. I ran two more that summer, and a 10k on Thanksgiving. I was finally a real runner! I didn't always feel like one and I had so many horrible runs where my speed sucked or I couldn’t make it as far as a previous run, but I was a runner. 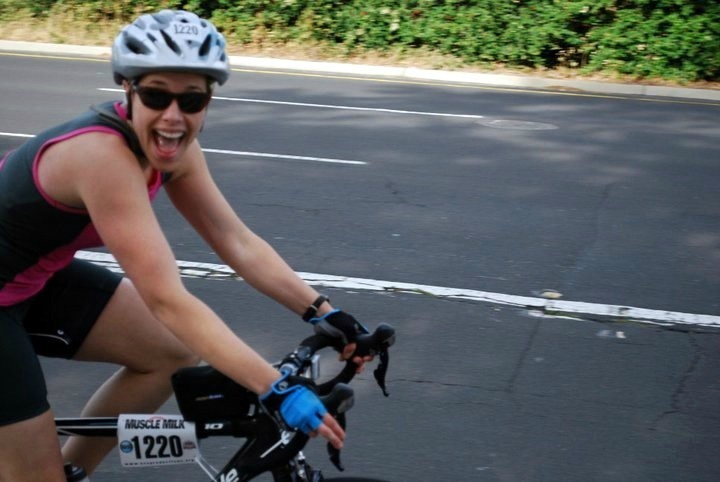 In 2010, I set my sights on a sprint distance triathlon, because why not?! I could run 5 and 10k, I might as well throw in a swim and bike ride first. I bought my first real bike, you know, from an actual bike shop, that was designated for road riding, and started figuring out how not to drown, because I still don’t consider myself a swimmer. 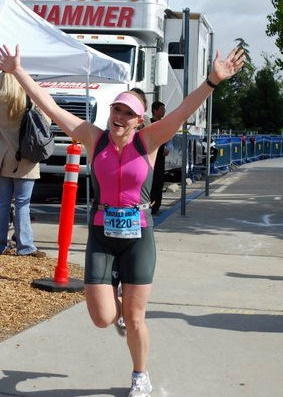 Six years later, I am staring down the behemoth that is a half Ironman distance triathlon. Again, because why not?! I have raced two sprint triathlons, a few duathlons, and run five half marathons, why not add a mile swim and a 56 mile bike ride before it? I recognize my crazy status, and I embrace it. I picked a race late in the season, the Austin 70.3 on Mr. B’s birthday, October 30th, (Happy birthday, honey! Come watch me race!) and am beginning to realize it’s go time to implement a training plan and get serious about this race that will be the most difficult athletic endeavor I’ve taken on in my life. I have two sprint distance and two Olympic distance races leading up to the half Ironman, which I hope will prepare me to tackle the monster in October. Now, who has a good half iron training plan they would like to recommend? I am taking suggestions, advice, your own crazy stories, and commiseration for why we think these races are good ideas! Spartan Fit, Agoge, and a free race code! Hello, happy girls (and boys)! I'm back for a minute to tell y'all what's new with Spartan. Super exciting things are coming from the Spartan camp with a new book by Joe DeSena called Spartan Fit!, a follow-up to his NYT #2 bestseller Spartan Up! With a release date of August 2016, you can pre-order now and have the book show up at your doorstep or pop up on your Kindle ready to motivate, inspire, and push you to greatness derived from the living legend himself. It looks awesome! I mean, check out this tagline: A complete Spartan training guide, Spartan Fit will arm readers with the strength, knowledge, and grit to never question their potential again. Um, yes, please! Sign me up! Y'all...there is a NEW Spartan endurance event that is shaking up the competition and pushing the limits like never before. It's called the AGOGE. It is advised that entrants have completed various endurance events and intellectual challenges. This could mean developing perseverance, camaraderie, and leadership through military training, or it could mean completing various Spartan Race and SpartanHurricane Heat distances. Do you want to push your limits and see what you're made of? Enter my giveaway for a chance to win a free race entry in any open heat (non-confirmed start time) for any Spartan race in the continental US. I made this recipe twice last week, it was that good. I made it on a whim one night for Billy and our roomie, then decided to serve it for our dinner and game night later when we had company. I took inspiration from a recipe I found on Paleo Newbie, but changed enough to make it necessary to create my own recipe so I can remember for the next time I want to have these awesome meatballs. PN goes the extra step to make her own marinara, whereas I used jarred for ease. Please check out her recipe as well by clicking her blog link above! Spray your crock pot and a large skillet with non-stick spray. Pour a quarter of your marinara into the crock pot. Heat the large skillet over medium heat. In a large bowl, mix turkey, spices, flour, and eggs with your hands until it all comes together, but don't overmix. It will be sticky and weird, but it's easy to do. Make golf ball sized meatballs out of the mixture and place in the skillet. I have to do this in two batches due to the size of my skillet. Brown on all sides by flipping each meatball after a minute or two on each side. You don't have to cook the meatballs all the way through, just get the outside browned up and transfer to the crock pot. Once all of your meatballs are ready, cover with the rest of the marinara and cook on low for 2 and a half hours or until everything is cooked through. If you are adding the optional cheese, sprinkle on top and replace the lid to cook for another 15 minutes or until melted and gooey (and delicious). Serve as is or with a salad, pasta, and garlic bread if you aren't adverse to carbs. I'm not, but if you're paleo you have to make concessions. Makes about 20 meatballs depending on the size you make them into. You can cut the recipe in half easily if you want fewer meatballs.